14-year-old gang member Lucas tries to ensure that his 10-year-old brother doesn't follow the same path. Indication your career might not be in tip-top shape: when publicity materials for your new movie use a flick from 27 years ago to identify you. That’s where former action star Jean-Claude Van Damme finds himself, as the back cover to 2019’s We Die Young alludes to his role in 1992’s Universal Soldier. The so-called “Muscles From Brussels” takes on a grittier role in Die, as he plays Daniel, a veteran of the war in Afghanistan. Afflicted with PTSD, he knows teenaged Lucas (Elijah Rodriguez) because the boy sells him painkillers for local gang kingpin Rincon (David Castañeda). When his 10-year-old brother Miguel (Nicholas Sean Johnny) starts to follow in his illicit footsteps, Lucas tries to separate from Rincon’s trade. This doesn’t go well, so Daniel steps in to fight back against the drug lord’s crew. All these events happen on the day of Rincon’s sister’s wedding, which strikes me as a self-conscious nod to The Godfather. This feels like a bad choice to me, as it seems like a mistake to remind audiences of an all-time classic. Obviously Die doesn’t match up with Godfather, but at least it doesn’t become an embarrassment for anyone involved. In the world of direct-to-video Van Damme movies, that seems like an achievement. The movie’s PR materials try to sell it as a revenge thriller, but that doesn’t really suit the presentation well. While some of those elements appear, Die lacks the fantasy Death Wish vibe one might expect. Van Damme’s presence also leads one to assume Die will offer a fairly cartoony, “good white man takes out bad brown men” theme. 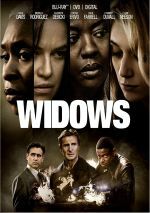 Although the movie doesn’t depict its ideas all that well, I appreciate the fact that it avoids that basic trope and attempts something a bit deeper. Granted, it doesn’t really achieve the desired nuance and depth, but I like the fact it tries. Die really does want to be a kind of social commentary, and one that seems less heavy-handed than I’d feared. Face it: in the modern political climate, a movie that relates to undocumented kids and the MS-13 gang reeks of Trump-bait. Oddly, Die kind of goes both ways, as it appeals to the MAGA crowd with its depiction of MS-13 as violent and brutal but then throws a bone to the liberals with the plight of the poor Latino kids and undocumented immigrants. The film works best if you ignore those social domains and just follow Die as a street crime drama – though even there, the movie doesn’t really excel. Die seems more involving than I expected, but that connects more to the low bar a direct-to-video flick with Van Damme must leap. Much of the credit for the film’s semi-success relates to Castañeda, as he offers a pretty strong performance. He brings an understated menace to Rincon that works and handles some of the role’s sillier excesses – such as Rincon’s penchant for Shakespeare quotes – in a positive manner. As for Jean-Claude himself, he seems reasonably convincing as the beaten-down veteran. It helps that the character can’t speak, so we don’t have to hear Van Damme’s mediocre line readings, but he still delivers a decent turn. Die feels like a rough draft of a film to some degree, one that could use more seasoning and polish. Still, it fares better than one might expect, as it delivers just enough drama and tension to make it moderately involving. We Die Young appears in an aspect ratio of approximately 2.40:1 on this Blu-ray Disc. Overall, this was a positive image. Only a smidgen of softness ever cropped up here, mainly in some low-light shots. Otherwise, the movie showed nice clarity and delineation. Jagged edges and moiré effects failed to appear, and edge haloes remained absent. Print flaws also stayed away from this clean image. In terms of palette, Die went with mix of teal and amber. Overall, the hues were fine for their visual choices. Blacks showed good depth, while low-light shots boasted nice clarity. This was a solid “B+“ presentation. As for the film’s DTS-HD MA 5.1 soundtrack, it gave us competent sonics most of the time as well as a little pep on occasion. A drama like this didn’t need to boast a rock-em, sock-em mix, so the audio seemed acceptable. Usually, the soundfield didn’t have a lot to do. This meant it concentrated on good stereo music and general ambience. Every once in a while, though, the mix came to life – in a moderate manner, at least, usually related to gang violence. These moments didn’t dazzle, but they gave the mix reasonable breadth. Audio quality was fine. Speech seemed natural and concise, without edginess or other concerns. Music appeared full, with reasonable definition. Effects remained clear and accurate, with some pretty solid low-end response during louder moments. This became a fairly satisfying track. The disc provides a few extras, and we open with an audio commentary from writer/director Lior Geller and actors Elijah Rodriguez and Nicholas Sean Johnny. All three sit together for this running, screen-specific look at story/characters, cast and performances, sets and locations, music, photography and music. Though the young actors chime in occasionally, Geller dominates the commentary. He brings a smattering of decent details, but much of the track feels slow and ordinary. While we learn a bit about the production, the end result feels bland. A Storyboard to Screen Comparison goes for four minutes, 38 seconds. It covers some of the movie’s action, as it shows the movie on the top half of the screen and the art on the bottom. It’s a decent way to see how the planning matches the final product. A featurette called On the Set of We Die Young runs 10 minutes, 16 seconds and presents raw shots from the set. It becomes an intriguing glimpse of the production. The disc opens with ads for Air Strike, Bent, Reprisal and Backtrace. We also find the trailer for Die. 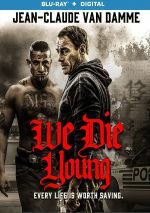 Jean-Claude Van Damme attempts a more dramatic tale than his old action exploits via 2019’s We Die Young. Though not a consistent success, the movie comes with some positives and fares better than I expected. The Blu-ray brings very good picture with largely positive audio and a handful of supplements. Die seems up and down but it ends up as a watchable experience.